Mumbai's first comic con was crowded and full of enthusiastic fans and artists. I even met several NID alumni and graphic designers, so I'm hoping there will be another one next year. Amongst the notable independent graphic novels being sold, the ones that caught my eye were Hush: A Silent Scream, Twelve: Prelude 0.2, Milk and Quickies and The Itch You Can't Scratch. Hush by Pratheek Thomas and Rajiv Eipe. Manta Ray Comics, India. The preview of the book is beautifully illustrated and literally breaks the silence on a socially relevant and taboo topic with a depth of understanding. It gave me so much hope for the future of independent art like this in our cities. 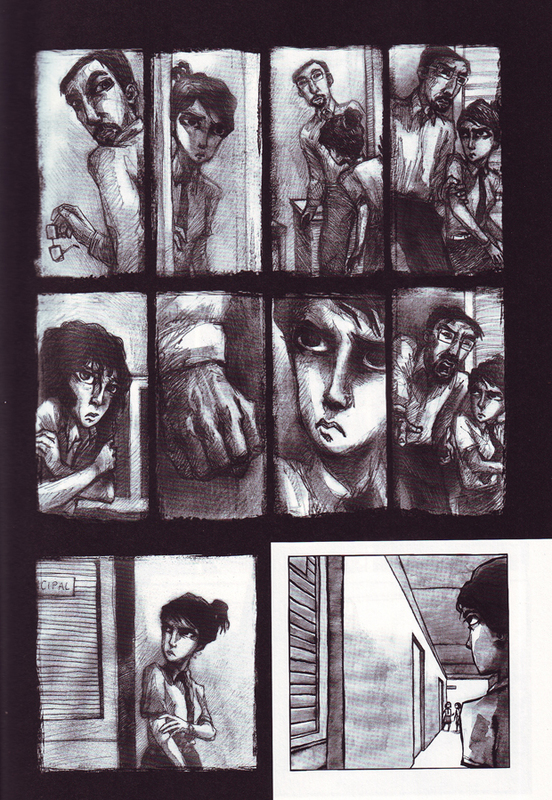 Twelve: Prelude 0.2 by Jasyot Singh Hans and Prabha Mallya. A collection of short stories. Wonder Bai by Abhijeet Kini, a hilarious series. Others such as Wolver Anna, Angry Moushi etc. were also sold.